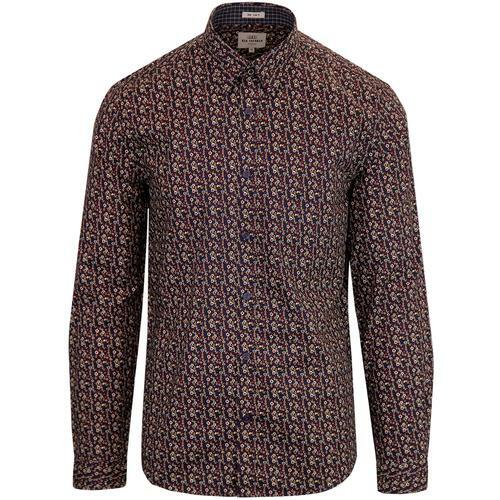 Madcap England 'Teardrop Peacock' Men's Retro Op Art shirt with a Psychedelic 1960s print that comes in a vivid kaleidoscopic colour palette. 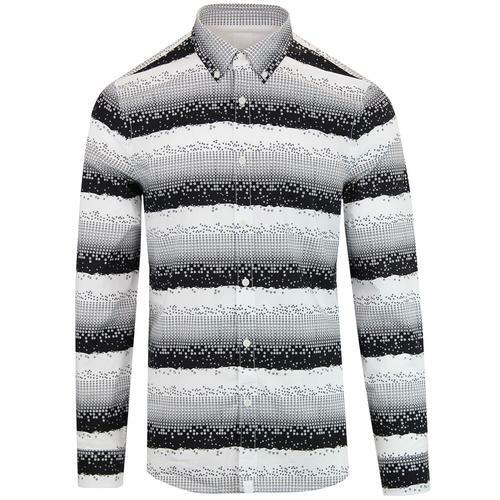 As eye catching as a Vox Teardrop guitar and as memorable as Question Mark and the Mysterians' iconic '96 Tears' tune, the Madcap England 'Teardrop Peacock' shirt features a cool Mod big button down collar, three button neck and stylish Retro Portofino turnback cuffs. Finished with subtle Madcap England signature buttons. 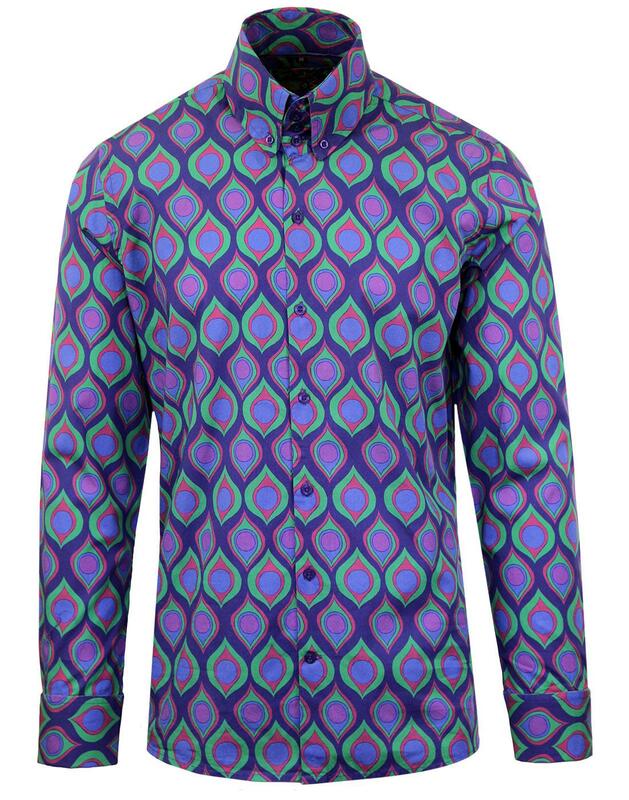 The 'Teardrop Peacock' Men's Op Art shirt features a striking purple ground complimented by 1960s inspired green, fuchsia and lilac pattern throughout that kind of conjures up images of the 'Psychedelic Sounds of the 13th Floor Elevators'. There's also a hint of timeless Vintage 1970s wallpaper influence about this 'Teardrop Peacock' shirt, so hang it on yourself and be the coolest cat in town! 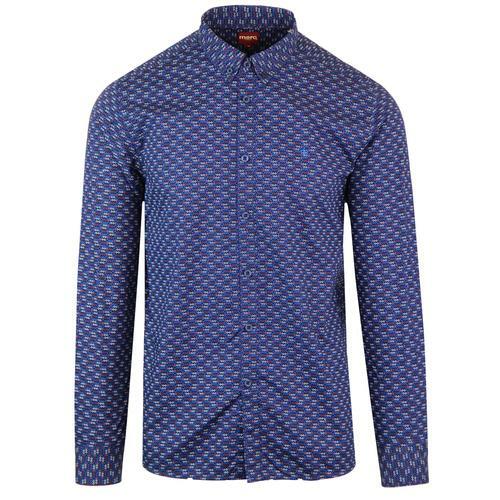 - Madcap England 'Teardrop Peacock' men's retro 60s Op Art shirt in purple. 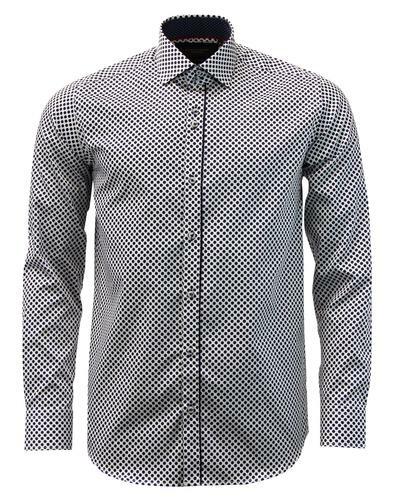 - Big button collar with three button neck for that dandy mod vibe. - Green, fuchsia and lilac teardrop print on purple ground. - Portofino turn back cuffs. 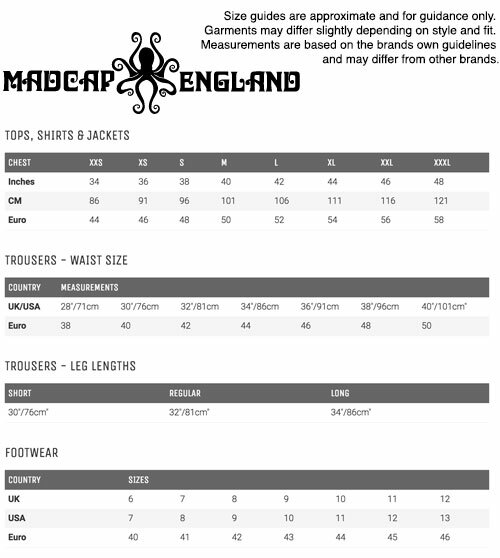 - SKU: MC406 Madcap England Teardrop Shirt.